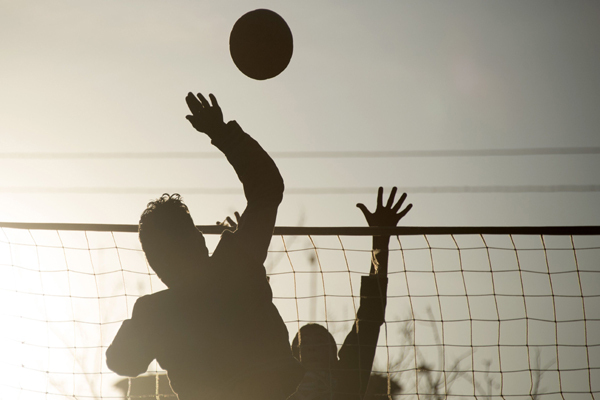 LAHORE, Apr 15 (APP):Azad Jumun & Kashmir, Khyber-Pakhtunkhwa, WAPDA and Pakistan Air Force notched up victories on the opening day of the NDURE National Volleyball Championship after winning their respective matches here on Monday at the Nishtar Park Sports Complex. President Pakistan Olympic Association Lt-Gen (retd) Syed Arif Hasan was the chief guest on the occasion and inaugurated the country’s top volleyball activity. Chairman Pakistan Volleyball Federation Chaudhry Mohammad Yaqoob and other officials of PVF and a large number of spectators were also present. The four matches played were decided in contrasting style. Gilgit Baltistan had to toil hard to defeat AJK in the opening match which, they won by 27-25, 35-37, 25-23, 25-16. They faced tough resistance from the AJK lads who were close to win the first game but lost at 25-27. However, AJK bounced back in the second game to humble their opponents at 37-35. AJK boys looked tired in the remaining two games and failed to maintain their grip on the match. Next three matches proved one sided. In the second match KPK beat Islamabad by 25-22, 25-17, 25-20. WAPDA outclassed Pakistan Railways 25-16, 2517, 25-12 in the third match. PAF humbled Sindh by 25-10, 25-9, 25-15 in the fourth match and all the winning team marched ahead without facing any resolute opposition from their respective opponents.